LOS ANGELES, Calif. /California Newswire/ — Since November 2016, during what is called the “Pre-Match” cycle, Residents Medical’s candidates have been offered coveted and competitive ACGME accredited medical residency training slots. In the graduate medical field, this is the time when they find out where they will be starting their medical residency training. Although Residents Medical was assisting these candidates to be placed in these positions months before Match week began, the majority of the tens of thousands of residency applicants didn’t find out where they would be training until the week of March 13, 2017. The completion of medical residency training is the only way the MD degree of a graduate is activated. This enables the graduate to achieve board certification in specialties ranging from Anesthesiology to Urology. The disparity lies in the 43,157 residency candidates that applied for 27,688 positions and the astounding 15,469 applicants that did not achieve a residency position. These applicants will be behind the curve, restless and ostracized from the medical community, and this is where Residents Medical helps. Residents Medical has a multi-prong method. It is the only organization of its sorts in the highly-specialized field of Graduate Medical Education. 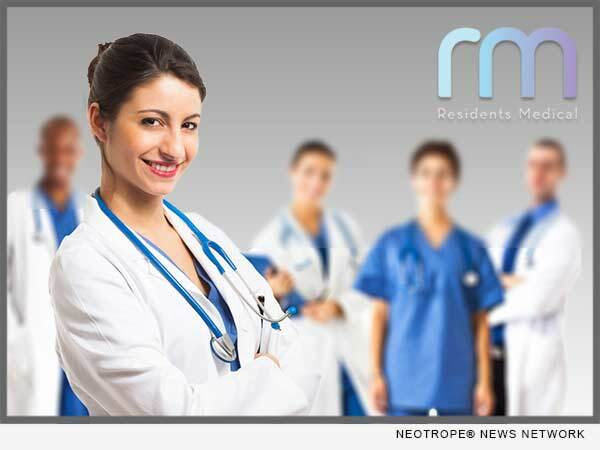 Residents Medical is part medical education, part consulting, part preparatory and part residency placement. The Company works with candidates and institutions alike in the realm of GME. The Company brings a holistic approach to the shortage of residencies that is taking hold of the post-graduate medical education field in America. Thousands of newly minted and marginalized MD’s are not achieving medical residency, and therefore, piling up with no place to go. Yet, there is an enormous doctor shortage in rural and venerable populations of America. Residents Medical’s candidates have been offered positions in the Pre-Match, NRMP Match, SOAP Match, and will continue to be offered post-Match and out-of-Match positions throughout 2017. Residents Medical is the only legitimate organization that is trying to do something about the “residency bottleneck” that has taken a hold of the medical field. The Company is trying to help loosen it one success story at a time. The candidates that come to Residents Medical go through a rigorous process of proving themselves. Residents Medical will also be constructing its new roster in droves after the Match, as it is only getting tougher and tougher for applicants to get into residency. To all its candidates that are going to be starting their medical residency training this summer, Residents Medical is proud to be part of their achievements. Residents Medical’s team will continue to encourage all its potential candidates, as well as its successful graduates, to continue their lifelong passion of helping humanity through medicine. To the candidates that do not give up and remain tenacious and focused, Residents Medical will hold their hand and help guide them to the finish line this year, just like past years, and many years to come. Through its association with The Everest Foundation, Residents Medical will continue to assist desirous candidates that work hard and appreciate helping the training hospitals with all their needs in the arena of GME. Residents Medical is very proud and humbled to be part of the solution and innovation of residency placement through these opportunities. Residents Medical’s main focus is clinical research and an expansion of Graduate Medical Education opportunities. Today, through a network of residency programs affiliated with top U.S. medical schools and Residents Medical’s collaboration with The Everest Foundation, the Company is able to provide exclusive and premier services for medical students and graduates from all continents to prepare for residency. Whether a U.S. graduate, IMG or FMG, Residents Medical will evaluate all applicant credentials and develop a unique path to residency that’s right for each student.